Timbertech2 Acoustic Plus Flooring Underlay is an ultra thick, extremely dense, ultra heavy duty sponge rubber underlay with a high-density fleece and reinforced kraft paper backing offering maximum durability and superior sound proofing qualities. Timbertech2 Acoustic Plus Flooring Underlay has an exceptional impact sound insulation level of 27 dB - making the room a better place to be. 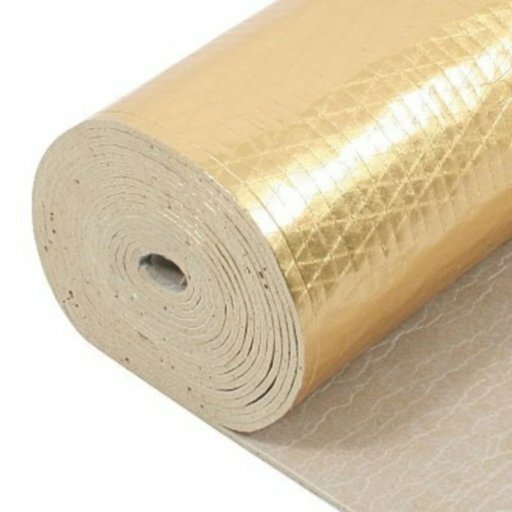 The gold vapour barrier stops moisture from rising up from the sub-floor. Your floor will always be supported, reducing the wear and tear. It's suitable for any installation - including commercial use. It helps smooth out uneven subfloor areas, making your floor last longer. Supplied per roll of 8 m2.